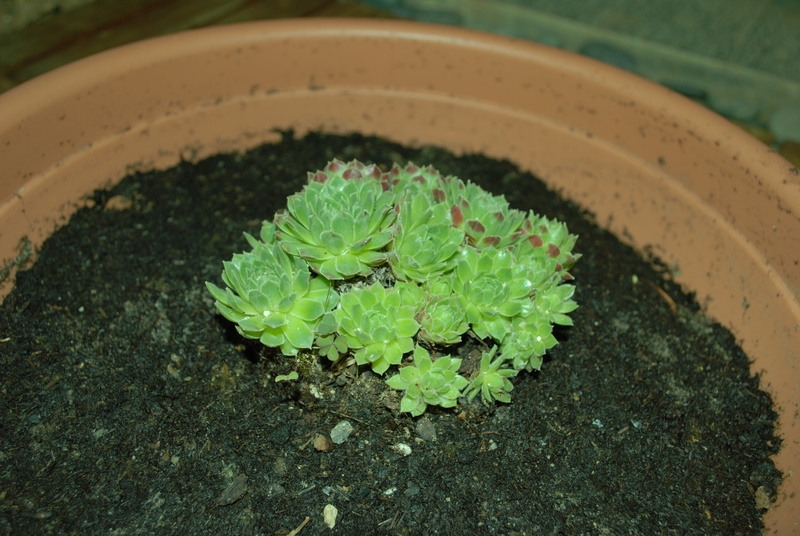 Remember my hens and chicks? Somehow there is a duckling living with them! 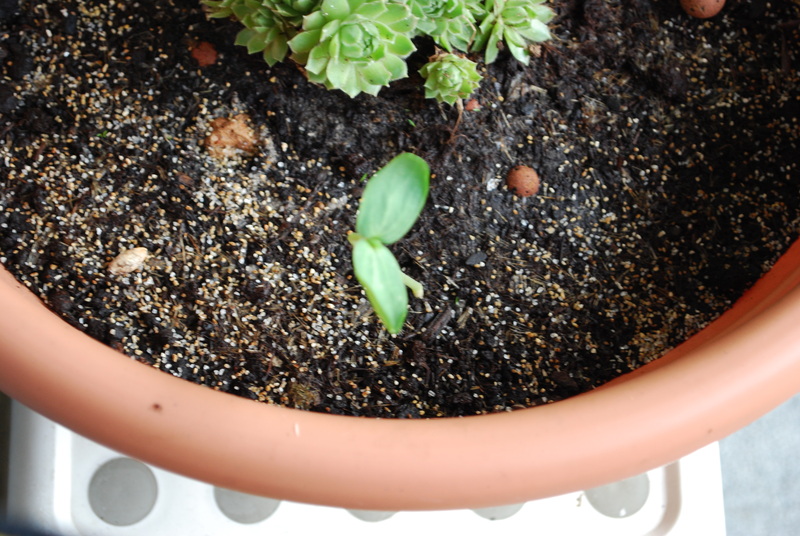 It looks like a cucurbita seedling. We don’t know where it came from or what it is exactly. Because we didn’t plant the seeds. We’re not like Novice Gardener – we label EVERYTHING (Mummy does, anyway). 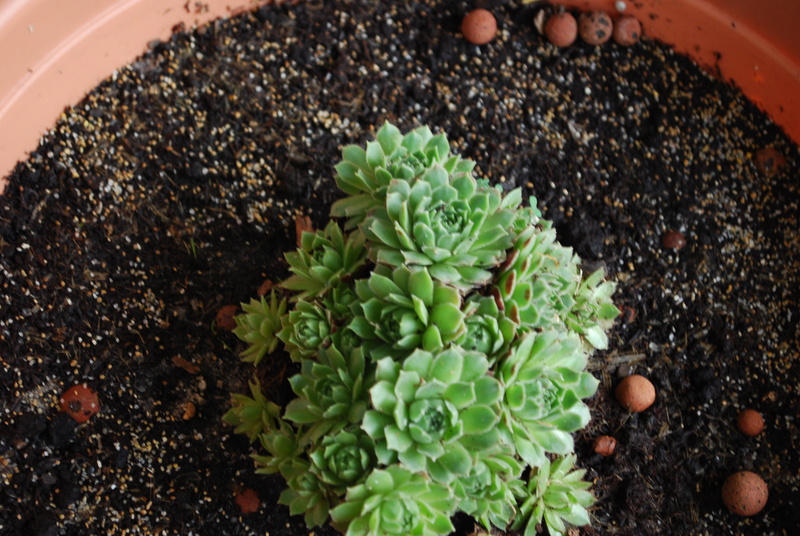 That’s the sound of my hens and chicks exploring their new home. Our helper re-potted them in a BIG pot. Very optimistic, Mummy says. Now we have to lug the pot under shelter when it rains because they are desert plants and don’t like water. Maybe they prefer bubble tea like The Big Sister?